BERLIN, Germany, November 14, 2011 (ENS) – On May 30, in the aftermath of Japan’s Fukushima nuclear disaster, German Chancellor Angela Merkel announced that between 2015 and 2022 Germany would close all of its 18 nuclear power plants, which produce about 28 percent of the country’s electricity. Despite Germany’s Kreditanstalt fur Wiederaufbau (German Development Bank) being set to underwrite renewable energy and energy efficiency investments in Germany worth $137.3 billion over the next five years, Merkel’s government has now announced that in addition to going green, it will also build a dozen coal-fired power plants as part of the country’s future energy mix. In order to assure the energy transition, the government also plans to subsidize new natural gas power plants as well. 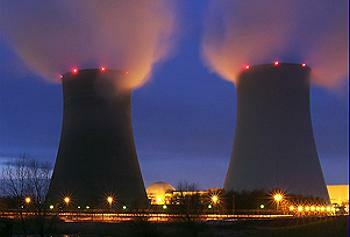 Now the consequences of the June 30 Bundestag law phasing out nuclear power are becoming clear. The next day Roesler, at a joint press conference with Finance Minister Wolfgang Schaeuble, informed reporters that Germany had lowered its 2012 growth forecast to one percent. In April, the month following Fukushima but before the German government decided to phase out nuclear power, the Economy Ministry had predicted a 2012 growth rate of 1.8 percent. The government’s newly pragmatic approach contrasts with the hopes of many environmentalists, who believe that Germany now has an historic opportunity to embrace renewable power rather than pursuing the retrograde step of commissioning new coal burning power plants. But government ministers are increasingly concerned with ensuring the security of the nation’s energy supply, even though the June 30 legislation mandated that Germany’s share of energy from renewable sources must increase from 17 percent to 35 percent in 2020 and reach 80 percent by 2050. A modest start has already been made. 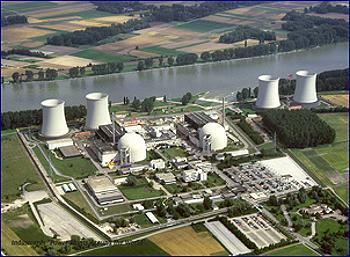 Since the eight reactors were closed, Germany increased its share of electricity produced from renewable sources from 17 percent to 20.8 percent. But renewables will be costly. On October 19, the German Association of Industrial Energy and Power Users complained that price of electricity had increased even though its quality has decreased. The association noted that next year its members will see their electrical power invoices rise by nine percent. As for the economics of the shift, electricity from coal-fired plants costs roughly $83 per megawatt-hour. The price increases roughly 50 percent to $124 per megawatt-hour for wind energy and goes up to $207 per megawatt-hour for offshore wind power. The $268 per megawatt-hour cost for solar power is more than three times the cost of coal-fired electricity. 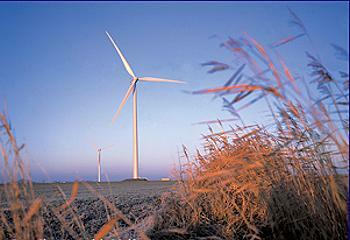 Despite the cost associated with renewable energy, Germany is one of the world’s largest producers of wind power. With 27 gigawatts of wind power installed, roughly 16 percent of the world’s current wind generating capacity, Germany is Europe’s biggest consumer of electricity from wind power. In the new austere Germany, the shift to renewable energy sources comes at a bad time for the export-driven economy, as increased energy costs can only raise the cost of exports. Despite Germany’s commitment to preserving the euro, this energy shift introduces further uncertainties into German long-range economic planning. Germany’s abandonment of nuclear power and embrace of renewable energy will be closely watched, not only by nations but also by the world’s nuclear and renewable power industries. While startup costs and transition problems have yet to be resolved, Germany is betting on its future, and future generations using solar and wind power will not have to bury nuclear waste with a half-life of tens of thousands of years.